On the anniversary of the Rana Plaza factory (April 23th-39th), it is not a surprise that here at X NIHILO, we want to change the way fashion does business. Consumers around the world have been asking #whomademyclothes and it has been a powerful movement. People of all ages are not satisfied with simply buying whatever a brand puts out there. Consumers are getting more and more aware of where their products are coming from and want to change the industry to be more transparent. X NIHILO has been transparent from day one with our production location and origin of materials, and that is why we are staring our #whomademybag campaign. Our goal was to raise awareness within the industry and be a part of the change we want to see and be part of. We want our audiences to use their voice and their power to change the fashion industry with us! Being transparent and honest about what we do has always been my vision for X NIHILO and create an honest range of quality leather bags for a generation with a desire to express individuality. Social responsibility is not a new topic in the industry however, I feel the problem is that consumer these days are well aware, but not well informed. Having to assist customer emails and enquires personally; I have come across customers wanting to learn more about what we do and how we do it. And it is surprising how many actually took the effort to find out this information and in which I’m happy to inform and is assuring that our efforts do not get unnoticed. 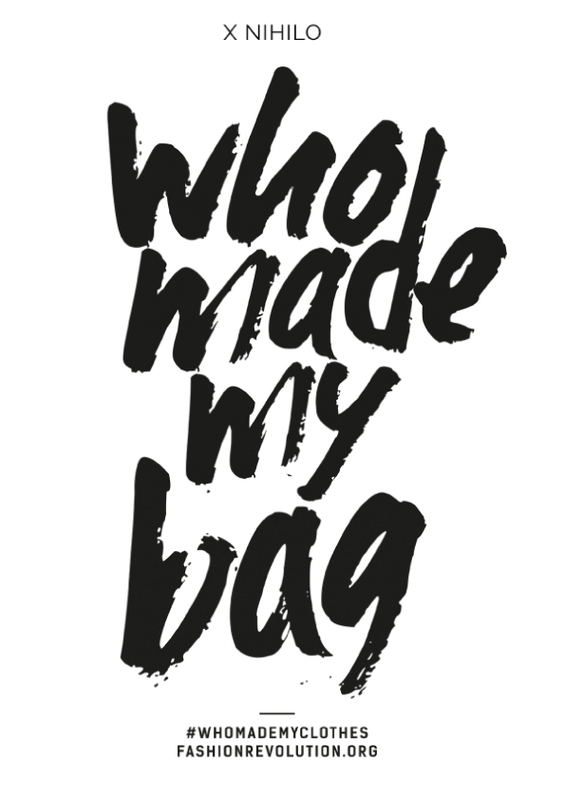 With the #whomademybag campaign, we wanted to be part of this movement and make this information more accessible, interactive and informative. If you would like to know the people behind X NIHILO, simply take a photo with this file here or one can also be found from your delivery from your recent purchase from X NIHILO and we will respond to your post on our Instagram tagging you & #imadeyourbag. We want to thank our audience for supporting us in this campaign and being a part of this important step. Through this campaign, we realized that we are on the right side of the fashion industry and will never stop pushing towards a more transparent way of doing business. Always remember to ask, who made my bag, we know we always will.